Sky News gave me the idea last night. I was half awake (hence: half asleep) when the news (at http://news.sky.com/story/de-niro-offers-100k-reward-to-media-for-truth-about-controversial-childrens-vaccine-10771445), when de news stating ‘De Niro offers $100k reward‘ became visible. When I woke up completely (a few hours later), I saw the full Monty: “De Niro offers $100k reward to media for ‘truth’ about controversial children’s vaccine“, which was a little more descriptive. Now I am not media, but I have decided to take a look at it. First off, it is never a good idea to meet your idol when he is still alive, but I think Robert got through it OK. What more is there on the article? The first part is “willing to publicise criticism of a controversial children’s vaccine“, which is an odd start, so the important part is Thimerosal, which is the medication part that needs to be scrutinised. The other part we get is “a substance containing mercury, in the generalised MMR vaccine, which protects children against measles, mumps and rubella“, now we are off to the races. You see, Mercury is toxic, so is Arsenic. Yet Arsenic was used in the past as a treatment (in very small doses) against Syphilis. It is not the only example. In small doses it is used against Osteoarthritis, which contains a substance that got someone ‘accidently’ poisoned to death in the 60’s, yet in those days Boron (the substance in question) was not tested for, because the body will have it. It is merely the concentration that took care of the non-breathing part in the end. So what is the story with Thimerosal? Let’s start at the beginning. Vaccines go all the way back to 1798 (roughly) when a man named Edward Jenner decided to pioneer a solution against Smallpox. The solution he came up with was to infect a person with the cow version of the disease so that the human body would see the weaker version as a threat and the body would be fast and more effective fighting the actual disease. So I grew up in the 60’s getting all kinds of vaccines and injections, the conclusion in my case was that I have had no real dangerous diseases for well over 35 years. 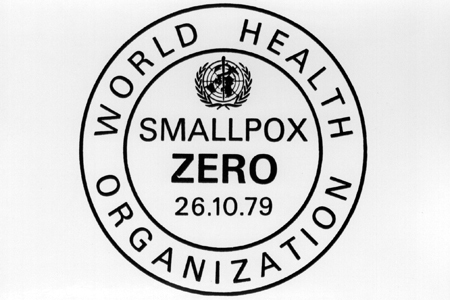 The World Health Organisation proclaimed that after vaccination campaigns throughout the 19th and 20th centuries, the WHO certified the global eradication of smallpox in 1979. So vaccines are seen as a good thing, so what changed our minds? There are a few issues that have grown that give voice to the anti-vaccination feelings. Yet, there is documentation out in the open showing exactly the opposite. I witnessed this in the Netherlands (at https://www.cdc.gov/mmwr/preview/mmwrhtml/mm4914a2.htm), in the time frame between April 1999 and January 2000, which gives us the quote “a cluster of five cases of measles was reported among the 390 students attending a religion-affiliated elementary school in the Netherlands. Persons belonging to this religious denomination routinely do not accept vaccination. Municipal health services (MHSs) investigated and found 160 suspected measles cases among children attending the school. By February 4, 2000, 2961 measles cases, including three measles-related deaths, had been reported by 35 MHSs to the national registry. This report summarizes the investigation of the measles outbreak in the Netherlands, which indicated that measles can be a severe disease among unvaccinated populations in the Netherlands“. This alone should clearly show the essential support for vaccines. Yet now we see the second element in this. You see, the population on a global scale is getting wearier and less trusting of vaccines. It is a $26 billion market and is expected to grow to $61 billion in the next 3 years. We are confronted with flu vaccines and there is no clear proof or documentation that they are actually a benefit. Even as the 60’s were a clear indication that the foundation of vaccines was sound and essential, the movement of big pharma and the essential need for profit has given vaccines the place where it potentially leaves too bad a taste in the mouths of too many people. This is the place where Thimerosal finds itself in. Mistrusted because of the makers and mistrusted due to a lack of proper information and in similar size the massive misinformation that we now see on the lack of benefits that other medications (like Multi vitamins) find themselves in, and to some extent, the media has been too often, little to no help at all. To a larger extent, they are chasing facts, or not showing the dangers ahead of time in too many cases. At http://www.globalresearch.ca/big-pharma-and-big-profits-the-multibillion-dollar-vaccine-market/5503945, the Canadian Centre for Research on Globalization (CRG) gives us “While the main fixation of anti-vaccine groups is an old, discredited study linking vaccination to autism, another is a conspiracy theory circulated online that both doctors and pharmaceutical companies stand to profit financially from vaccination—which supposedly leads to perverse incentives in advocating for the public to vaccinate. But that argument is historically unfounded. Not only do pediatricians and doctors often lose money on vaccine administration, it wasn’t too long ago that the vaccine industry was struggling with slim profit margins and shortages. The Economist wrote that “for decades vaccines were a neglected corner of the drugs business, with old technology, little investment and abysmal profit margins. Many firms sold their vaccine divisions to concentrate on more profitable drugs“, at this point I offer in opposition, if that was true, why would there be a sudden rush to get into vaccines? If certain diseases have been eradicated, would the need for vaccines not decrease? If the flu cannot be cured through vaccines, what is its benefit? Two question that have not been properly addressed ever. The press have remained on the surface too often and too long. There is too much profit in advertisements for the media, too many concessions and the people notice, the people at large deduce their own wisdom and facts in what they see. Are they wrong? The National Centre for Immunisation Research & Surveillance (NCIRS) gives the following Factsheet where we see “There is no evidence that thiomersal in vaccines has caused any health problems except minor reactions, such as redness at the injection site“, another fact shown, a part that seems to be ignored in a few points of visibility. It is “Methyl mercury is more potent; it accumulates in the body because the time taken for the body to eliminate it (known as the ‘half-life’) is about 50 days. Ethyl mercury (in thiomersal) does not accumulate in the body to such an extent, because its half-life is only about 7–10 days“, the dangerous side I was aware of, or the danger I perceived is not a factor here. Thimerosal is also known as thiomersal, hence the quotes from different sources have these two names. Now we get the issue that is also a cause for concern and it is not the controversial accusation of autism. The issue is that if we accept the initial fact, then why are we given “the American Academy of Paediatrics (AAP) asked vaccine makers to remove thiomersal from vaccines as quickly as possible as a precautionary measure“, when we look (at http://pediatrics.aappublications.org/content/131/1/149) the quote “Overwhelmingly, the evidence collected over the past 15 years has failed to yield any evidence of significant harm, including serious neurodevelopmental disorders, from use of thimerosal in vaccines“, personally I would love to see that data! There is also “Dozens of studies from countries around the world have supported the safety of thimerosal-containing vaccines. Specifically, the Institute of Medicine, and others have concluded that the evidence favours rejection of a link between thimerosal and autism“. The AAP publications show 7 links to academic papers confirming this. There is also: “Although there are clear neurotoxic effects of methyl mercury absorption, ethyl mercury has not been associated with those consequences“, so one mercury is not another, yet how deep has this been investigated? As we see that ethyl mercury might have been a massive push for the profitability that vaccines became, there is still the question on the need for vaccines. I am not debating that the larger good exist, that evidence was given in the Netherlands, a place where Measles suddenly resurfaced, in a place where vaccination was rejected on religious reasons. As we reject ‘en mass’ to a larger extent on flu-vaccines and on the pharmaceuticals that need too much profit and as it is seen by many at the expense of them all. Projection, publication against the interpreted fear and rejection through despise of the pharmaceutical community. Yet in all this thimerosal is just an element, the actual vaccine in all this is the MMR vaccine. Robert De Niro did not oppose the MMR vaccine, just the use of thimerosal. When it comes to vaccines, there is one paper that does have an impact. It is a paper by Ami Schattner published in 2005 called ‘Consequence or coincidence? : The occurrence, pathogenesis and significance of autoimmune manifestations after viral vaccines‘, which could be seen as alarming (at http://www.sciencedirect.com/science/article/pii/S0264410X05003506) giving us “Very few patients may develop some autoimmune diseases following viral vaccination (in particular — arthropathy, vasculitis, neurological dysfunction and thrombocytopenia). For the overwhelming majority of people, vaccines are safe and no evidence linking viral vaccines with type 1 diabetes, multiple sclerosis (MS) or inflammatory bowel disease can be found“, with the emphasis on “The occurrence and significance of autoimmune manifestations after the administration of viral vaccines remain controversial“. Now, if you picked up on it, you will state that Autism is not an autoimmune disease, then you are right. Now for my speculation in this part, if the creation of a Immune system disorders is rare, I am speculating that the creation of autism through vaccination is even more rare than that. A vaccine is the introduction of a disease to the body, so the immune system is actually directly attacked. If that does not abnormally react, the consideration that another disease like Autism, which is a neuro developmental disorder seems extremely unlikely unless the vaccine was specifically for a neuro based disease, and at present it seems less and less likely that it is the case. An escalation that we are confronted with all due to a fraudulent paper from Andrew Wakefield et al, who decided that 1998 was a good year to misrepresent facts and opposing the MMR vaccine in support of a competing vaccine. It would be my speculated assumption that greed got in the way of his better angels and more likely than not, to an even larger extent by that competing brand as well. It is that competitive approach, with support of a former academic that the mistrust has grown in the people, especially the parents on a global scale. There it is that we find thimerosal, removed in many places as a mere precaution. That against a large supported foundation that thimerosal is not dangerous. So does this make the view of Robert De Niro incorrect? I believe that he is asking valid question, in addition, let it be sad that his view as stated: ‘he just wants a safer way to prevent diseases‘ is a noble one, especially in an age where the profit needs are pushed through too often and too fast. Procon.org gives us (at http://prescriptiondrugs.procon.org/view.resource.php?resourceID=005528) a list of 35 FDA approved drugs that were later pulled from the market. This includes Accutane that was on the market for 27 years, Cylert for 30 years and Darvon & Darvocet for 55 years. Now, we have to accept that the tests then were not on a level we have nowadays, yet when we read the effect of serious toxicity to the heart, with a death toll of well over 2100 deaths between 1981 and 1999, there is an issue and as such, the request from Robert De Niro is not that outrageous. In opposition we see that the overall testing is a lot better, and if there is enough support that the half-life of Ethyl mercury is 7-10 days, there should be clear warnings with using it, but if there is enough support for the safety, what is the problem? I see it to some extent in ‘does not accumulate in the body to such an extent‘, to what extent does it accumulate? That is the serious question that needs a clear answer. Are there exceptions? Is there an issue to the parts that do accumulate? Questions that are not available at present (as far as I can tell), so in all this Robert De Niro is asking the right question and it gives concern, because is the AAP consideration we see in ‘removing thimerosal use in preservatives as a precautionary measure‘ also a misrepresentation? Is it a precaution, or was this released in 2013, in the time of the Obama Administration, voiced as such to prevent an anti-vaccine panic from happening? Is that so far out of bounds? The problem is that for the most the media does not have the knowledge, the many who do have the knowledge tend to work for pharmaceutical companies, or they work for government installations working for politicians who depend on the support of pharmaceuticals. It seems that in no way will the people be more likely than not be properly and correctly informed, that part has been proven for almost two decades. The only part that worries me is that in the end, it is the $100K payment from Robert De Niro for the media to take an optional serious (opposition) stand. When you google FDA you see very little actual news, when you Google Pharmaceuticals you get loads of news, and 99% linked to awards, pricing, acquisition and profit performance. This is exactly why the people are getting less and less trusting of pharmaceutical companies. It is not merely a marketing thing, it is a distrust that comes from several paths of information. Here we get to Vexxed, a movie by no one else than the debunked and fraud driven Andrew Wakefield who became writer director of the movie after he was gutted in court. A five-member statutory tribunal of the GMC found three dozen charges proven, this was on 28th January 2010. It includes 4 counts of dishonesty. In addition the panel ruled that Wakefield had “failed in his duties as a responsible consultant” which tends to be a very serious charge. The 1998 publication was, on the findings of the GMC’s, noting that elements of the manuscript had been falsified, fully retracted. The fear the paper brought by Andrew Wakefield have had consequences, a false paper that led to vaccine mistrust and resulting in serious illness and deaths, which now beckons the question, if this result repeats after the movie, can Andrew Wakefield be arrested and convicted of murder? The paper has issues that there was no intent to endanger lives, but the movie is a repeat of the previous event, intent can be the natural acceptance of a repeated fact. The issue I see is that pharmaceutical companies have actively created waves of mistrust fuelling the existence of conspiracy theories, the movie Vaxxed could be seen as such. I have not seen the movie, so I am keeping an open mind, yet the truth is that I am a child of vaccines in the old age, in this new age, where it is less about health, and more about profit, the voice of conspiracy theorists might have valid views. I say again ‘might’, I wonder how these people look at a movie like Contagion, the masterpiece of Steven Soderbergh who shows in a fictional setting the nightmare that the CDC faces in an ongoing fight to find solutions of some of the most contagious and in some cases still incurable diseases. I reckon that if you feel you want the truth, seeing Vaxxed, whilst never seeing Contagion will never ever get you the truth. Because the fear we see in Contagion was a reality after WW2. Millions in a weakened state and diseases like the measles were running freely all over the world, now we see statistics from 1980 with 851,849 European cases, to 16,899 cases in 2014, a clear decrease due to the vaccine regime of the 50’s and 60’s. Now see a mortality rate of 0.1% – 0.2%, whilst in 1900 the mortality rate in the US was 4% for measles. Smallpox in the periods 1900-1904, had a mortality rate of around 11.5%, we can claim (to some extent) that even though there were mitigating circumstances (like hygiene), vaccinations have been a great success. There is little to no opposing debate on that. So how is this for the MMR vaccine and thiomersal? This is the issue that Robert De Niro is raising and in addition to him raising this he is asking very valid questions. It is however equally important that a person like Andrew Wakefield should not be taken at his word. This is not merely him versus the world, when you look at all the information, the competitor he promoted remained silent for all this time as far as I have been able to ascertain, there was no open outrage of this competitor coming with academics showing valid numbers in opposition of the tribunal findings, in addition no evidence that there was a danger, that part has never ever been shown. Did the news dig there, did we get a clear low down from the World Health Organisation (WHO)? Is it that far-fetched that as the Andrew Wakefield scandal caused an increase in morbidity due to lower vaccinations that both the WHO and the CDC would have a clear need to intervene with facts? Are these questions so strange? In that same part we see the Huffington Post in 2014 giving us, via columnist Lawrence Solomon quotes like “Merck, the pharmaceutical giant, is facing a slew of controversies over its Measles-Mumps-Rubella (MMR) vaccine following numerous allegations of wrongdoing from different parties in the medical field, including two former Merck scientists-turned-whistle-blowers. A third whistle-blower, this one a scientist at the Centers for Disease Control, also promises to bring Merck grief following his confession of misconduct involving the same MMR vaccine“, from that point of view, the moment Vexxed was announced, the CDC should have a clear voice stating the issues (if there are any) regarding the MMR vaccine, in equal measure, if Lawrence Solomon is ‘merely’ a columnist, why this news did not make it to the front pages on a global scale, and if this was not true, why did the Huffington Post run with it? (at http://www.huffingtonpost.ca/lawrence-solomon/merck-whistleblowers_b_5881914.html), it even has links with the court documents, which is even more of a concern. In conclusion I need to state that if we accept that the Andrew Wakefield disaster came with deaths when the paper was published, the deaths that could be proven to stem from Vexxed require the courts on a global scale to indict Andrew Wakefield with attempted murder for those who get sick and murder for those who die due to non-vaccination. This is not a ‘maybe’ or a ‘freedom of speech’ issue. When it causes the intentional deaths of others it is murder, plain and simple! As for Robert De Niro, he does make a case to get medical solutions to the people in a safer way, but which way cannot be stated, because it is a track that takes a long time, he has the option to get the support of the media and the medical profession to take another really serious look at thiomersal. I still had questions and next to Robert De Niro, I am the clever one (read: nothing wrong with my ego)! This gets us to the final part that the Washington Post gave us in May 2016. The quote “create an impression that there was a link by falsifying the data“, which we basically covered earlier, yet to see it this harsh is still important and it changes the taste of the movie by a lot. In here we also see “Actor Robert De Niro, who has an autistic son, originally lobbied to put the film on the schedule for the Tribeca Film Festival in March. But several days later, he said he had a change of heart“, which is another matter, in that that his questions and the fact that he puts up $100K is still valid, perhaps even more valid. It is my interest that gets piqued with “Dozens of top journals — including the New England Journal of Medicine, the Journal of Paediatric Infectious Diseases and the Journal of Autism and Developmental Disorders — have published papers that looked into a possible link and found none“, with the part that the visibility of all this has not been that high, it is my believe that whomever puts the Robert De Niro story out (as it is valid news) should also show all links to these journals, because as it is, Andrew Wakefield gets, due to the global scepticism of pharmaceuticals, a little too much consideration. So as we gave the smallest consideration for the other side, we must give vision to what is an actual solution for the children of the world, in that the questions of Robert De Niro remain valid, we need to get solution to the people in a safer way and some questions regarding thimerosal remain, perhaps the journalists who are vetting to get a $100K bonus will take another look and answer those questions too. It is not some conspiracy theory thing, it is merely how the AAP decided to voice it, not wrong, just in a way that left us with questions.